Certain horrific events occurring during the course of our lives seem to leave etchings in our memory as a result of the emotional impact on us. Whether acts of terrorism, natural disasters or accidents such as the Challenger explosion, we remember vivid details about each day. While serving as president of the Alabama Public Service Commission, my first-hand observations of the devastation from tornadoes and the aftermath of major gas explosions have left permanent imprints on my memory. While paling in comparison to the feeling of loss felt by loved ones of the victims, I still found myself emotionally drained after seeing the immense destruction while I was in Lee County last week. This tornado that blew through a large swath of east Alabama was an F4 that packed 170 mph winds. Many did all they could to survive, but it was simply not enough. Seeing the aftermath left behind was tough, and I was humbled by how small and how helpless we can be in a severe weather event. I cannot emphasize enough how much we all need to take heed and take cover every time there are weather warnings issued. Know where your safe place is, go there and cover yourself with the right materials. Flying debris during a tornado becomes deadly shrapnel. Be prepared so you can protect your family. The devastation in Lee County is real, it is heartbreaking, but as the governor said, Alabamians are resilient. However, we can never replace the 23 precious lives lost on March 3, 2019, so let us continue to pray for these grieving families. Rebuilding the area’s hardest hit areas started almost immediately, and the dedication of the people involved deserves commendation. Alabama’s first responders arrived on the scene quickly and prepared to do what they do best. First and foremost, they were tasked with the rescue and recovery of storm victims and caring for those that needed medical attention. At the same time, men and women worked tirelessly to clear debris to allow for safe travel. Utility teams completely rebuilt power lines and cell towers to allow for communication and reconstruction of demolished homes and buildings. Lee County Sheriff Jay Jones and his department, working with ALEA, are doing an outstanding job. I am always in awe of law enforcement’s commitment to our state and our citizens. These first responders have daunting tasks in the most difficult environment, and yet it is amazing to see these teams work. They are focused, determined and get their jobs done quickly. Within 36 hours, the roads were passable, cell phones were working and power had been restored to all that could receive power. I have been assured that Alabama Power will continue to have a presence in the area as cleanup work continues and homes are able to take power. That is their job, and my job is to ensure Alabamians have reliable utilities. Count me as impressed with the speed and efficiency with which they worked. To understand the severity of the damage, let me share with you what this meant in terms of power outage and damaged structures: 11,700 homes in Lee County lost power, 140 power poles were snapped in half and 226 spans of power wire were on the ground. A large transmission structure in the middle of the small community of Marvyn was severely damaged. There were 669 Alabama Power personnel and contract crews on the ground in the county helping wherever they were needed. The negative visuals after a catastrophe stay with you. However, there are also beautiful moments in the chaos that I like to remember. In Alabama, we can argue about politics, football and even religion, but there is one thing we all agree on: Alabamians are a close-knit family that helps one another get through the tough times. It has been heartening to watch the stories of kindness develop throughout this tragedy. It was touching to see the folks in Tuscaloosa reach out to those hurting in Lee County, the home of the Auburn Tigers. Alabama is beautiful for many reasons, not just our mountains and beaches, it’s our caring people. May God bless Lee County, Alabama. When the CPP was proposed, I worried about the impact of rising electricity prices on Alabamians and what it would mean for Washington to dictate to us the right way to meet our energy needs. At its core, the CPP was a plan designed to punish the American coal industry and drive the nation’s fleet of coal plants into early retirement. Those plants – which play such a critical role in so many states, including ours – have long been a foundation for secure, reliable and affordable power. Isn’t that what we want again in our government? We as Alabamians have seen too many people who come to Montgomery and bill themselves as the one who will change the system, only to find out that it is the system that has changed them. The moment change asks you to put your values aside, is the time when danger looms on the horizon. Values which are a mile wide and one inch deep will not be able to change the course of our great state. But values rooted in the soil of belief and the principles of our nations’ founding will be able to deliver on better infrastructure and a better education for our most precious resource – our children. The above is the opinion of Twinkle Andress Cavanaugh, the President of the Alabama Public Service Commission. Twinkle is a small business owner and former Chairman of the Alabama Republican Party. Opinions expressed do not represent the position of the Public Service Commission or its other commissioners. During this holiest of weeks, having just celebrated Palm Sunday and with the celebration of Easter just days away, a dark cloud looms above Alabama. Times are tough, but our state has seen its share of challenges in the past. I know that together, with hard work and faith, we will get through this. The entire state has suffered from this scandal. It has scared away companies looking to build new factories or expand current operations. It has hurt the economy. It has damaged the moral fiber of Alabama. Brighter days are ahead for Alabama, but obstacles must be honestly confronted and overcome with constructive solutions for us to move on. Governor Bentley has betrayed and abused his faith, his family and staff members, the powers of his office, and the trust of the people of our state. I am relieved to see that he finally did what is right and resigned so Alabama is not focused on his transgressions but instead can focus on getting this chapter behind us. To anyone who has directly suffered the abuses of our out-of-control Governor, my heart and my prayers go out to you. It is unacceptable for someone in a position of trust and power to abuse it. As a citizen and a public servant, I am appalled at the type of behavior we have seen from the Governor. I appreciate the work of those in the legislature and on the ethics commission who chose to take on this very tough task; thank you for shedding light on this intolerable conduct. We saw officials band together in a bipartisan manner to stamp out this corruption and this should be strongly commended. I wish Lieutenant Governor Ivey all the best and pray for her strength and success as she prepares to fill the Governor’s office. I am confident that she will ably steer the ship for the rest of this term. These are dark days. Alabama deserves better. We deserve better. And most of all, our children deserve better. We need to restore ethical and honest leadership back to the Governor’s office. Faith and Alabama values must be restored to our Capitol. The path forward will not be easy, but it will be worth it. Brighter times are ahead. Let’s get to work and begin the healing of our state this week. The above is the opinion of Twinkle Andress Cavanaugh, the President of the Alabama Public Service Commission. Opinions expressed do not represent the position of the Public Service Commission or its other commissioners. 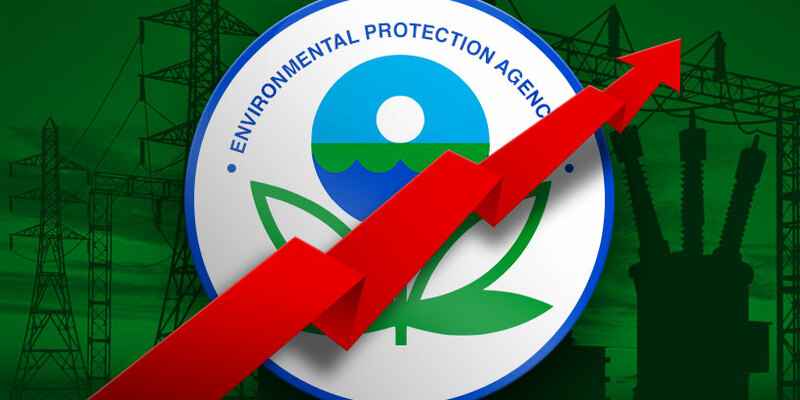 In 2008, Barack Obama stated that under his plan, “electricity prices would necessarily skyrocket.” Unless something is done about the plethora of mandates being instituted by his liberal EPA, we will see that become a reality in the very near future. In 2015 alone, there were six major rules that were published or that became effective. These burdensome mandates assure the death of coal-fired generation as we know it and threaten industrial growth in the South. It doesn’t take a rocket scientist to look at these rules and find the true target of Obama’s EPA. It’s manufacturing. In Alabama and other Southern states, we are able to offer lower utility rates to support our large employers. Lowering the bottom line for our job-creators means more jobs for Alabama families. In contrast, Northern and Western states with more restrictive energy policies cannot compete with what we have to offer. It is for this reason that Obama has set out to drag us down tot the level of states that are bent on living under bad energy policy. The means by which Obama has decided to impair our energy policy is by eliminating the use of coal. Even though our nation sits on enough coal to last us another 250 years, the Obama administration has forced us into a position where coal only comprises 40 percent of energy production, and this figure is dropping. Power companies have spent billions of dollars to keep up with the onslaught of new regulations. Alabama Power Company will spend approximately $5 billion in the next two years in order to comply with these federal mandates, and not one kilowatt of power will be added to the mix from that enormous expense. These rules and regulations promulgated by executive agencies have the effect of being laws as if passed by the same Congress these agencies seek to bypass. This is because states and their utilities must begin expending the costs of compliance immediately, regardless of whether the rules are later struck down, in order to meet the imposed deadlines. An example of this happened in June of this year when the U.S. Supreme court overturned the Mercury and Air Toxics Standards (MATS) rule, stating that it did not take into account the cost of compliance when it was established. Unfortunately, the compliance date for this rule had passed, and utilities had already modified or shuttered a significant number of coal plants to meet the standard. And now it’s too late to reverse those decisions. We are currently facing the implementation of one of the most costly regulations to come from the EPA, the Clean Power Plan. This plan places arbitrary limits on states for the emission of carbon dioxide from electric generation facilities and will cost consumers billions of dollars, weaken the integrity of our electrical grid, threaten the reliability of our power supply and provide little to no benefit. This rule is predicated on so-called science that attempts to deceive the American people to believe in man-made climate change. Secretary of State John Kerry went as far as to say that if a politician does not buy in to their science, “it seems to me that they disqualify themselves fundamentally from high public office with those kinds of statements.” It’s a good thing that Secretary Kerry was not around when our founding fathers met, or we would still be paying taxes to the King and attending the National Church. By the EPA’s own admission, these standards will only have a minimal effect on the climate. The reductions proposed by the EPA will prevent the lowering of sea levels by the thickness of three sheets of writing paper. Given these facts, this brings us back around to the question of why enact these ridiculous mandates? The answer is clearly that the Obama administration is using them to centrally plan our economy and shift industrial growth back to states that are otherwise unable to compete with the reliable, inexpensive energy we produce throughout the South. There are some effects that we can be sure of from this plan. Reliable and cheap energy from coal and natural gas will be replaced by unreliable and expensive energy from wind and solar. One day, technology may exist that makes solar or wind competitive in the market place, but now they must rely on government subsidies, paid for with our tax dollars, to be competitive. And neither is capable of producing energy 24 hours a day, seven days a week. This is a terrible recipe for economic growth, and the Obama administration knows it. As President of the Public Service Commission, I have fought these mandates every step of the way. I have testified at hearings before the EPA; I have publicly staked out what has been a lonely but principled position on behalf of Alabama at proceedings conducted by the National Association of Regulatory Utility Commissioners; I have even written a letter to President Obama with my fellow commissioners. The fact of the matter is that we all need to continue to fight these overly burdensome mandates because picking winners and losers in our economy is not the American way. The rise of our nation is largely attributable to our ability to reliably produce low-cost energy. It is the foundation for our manufacturing and technological edge in the world marketplace. We cannot allow extremists in Washington to destroy the critical advantage we have in the world. Failure to maintain this critical advantage will move us toward third world status and leave us dependent on government to provide everything for us. Then again, maybe that’s what they are trying to achieve. The Alabama Public Service Commission recently concluded a series of historic rate reduction hearings that will soon result in lower utility bills and direct savings for customers of Alabama Power Company, Alabama Gas Corporation, and Mobile Gas. Just as importantly, the hearings were held in a manner that saved taxpayer dollars, provided complete openness and transparency, and protected thousands of Alabama coal industry jobs that have been targeted for elimination by environmental extremists and other liberal special interest groups. These same liberal activists and their allies pushed for the commission to utilize, instead, an overly expensive and drawn out process that operates much like courtroom proceedings and requires all parties involved, including consumers wishing to participate, to hire high-priced legal counsel to represent them. They prefer the formal hearing process because it would allow them to delve into subjects that really have nothing to do with the rates that consumers pay, such as the effect that coal-fired energy production has on the theory they once called “global warming” but now refer to as “climate change” since studies show the planet is getting cooler, not hotter. Their end game is not to serve consumers but, rather, to assist Barack Obama’s Environmental Protection Agency in shutting down Alabama’s coal industry, which has historically been a major driving force of our state economy, and the 5,000 jobs it directly provides. The truth that they don’t want you to know is that if coal is prohibited as a major source of energy production, other less proven and much more expensive methods will have to be substituted, which will cause your utility bills to skyrocket. It is apparent that those who subscribe to the ultra-liberal environmental movement are willing to sacrifice your family’s budget and economic well-being for their own misguided beliefs, issues, and left-wing initiatives. Instead of falling prey to the trap set by the liberal activists, the majority of the commission voted to hold a series of rate hearings that, while more informal, were more open and infinitely more efficient and effective. Instead of requiring participants to acquire legal counsel, our hearings invited all who wished to testify to participate and express their thoughts. We even held hearings outside Montgomery in cities like Mobile, Tuscaloosa, and Auburn so that consumers who wished to testify could more easily participate without traveling to the Capitol City. Overall, we heard from twenty-four different groups, with over fifty hours of testimony and hearings. Executives from each utility also spoke and were put under rigorous questioning about their companies’ finances, production costs, profits earned, and similar subjects. Other groups as diverse as the Tea Party, labor unions, and public policy think tanks also participated. The commission even allowed the environmental activists supporting Obama’s War on Coal and other liberal groups like the AARP, one of the loudest and strongest supporters of the fiasco known as ObamaCare, to share their thoughts. Because of the informal hearings we utilized, the commission was able to make informed decisions on all three utilities in a handful of months and at negligible cost to taxpayers. Had formal court proceedings been convened for each utility, the process would still be ongoing, and the cost meter would still be running at the taxpayers’ expense. In the end, the commission determined that the utilities we reviewed should provide consumers a reduction in the rates they pay, and we ordered each to do so. The average savings, based upon the rates we implemented, will equate to approximately $20 to $50 a year depending upon which utility a consumer is utilizing and the amount of energy they consume. Those changes will soon start becoming apparent in utility bills sometime after the new rate structures go into effect in 2014. We also demanded more frequent and strict reporting requirements from the utilities we regulate, which will make it easier for the commission to track their financial performances and implement additional rate changes when circumstances demand. Sadly, there are those who, for their own personal political motivations or dogmatic liberal beliefs, will try to belittle or deny the good that we have accomplished. I encourage you to take their criticisms with a grain of salt because the facts and evidence of our accomplishments are undeniable. Lower utility costs for consumers. Stricter oversight of utility profits. Open, transparent, and easily accessible public hearings. Substantial taxpayer savings. Protected jobs for coal workers and the families they support. Alabamians have been served well by the work we have done, and I am proud to have been a part of this historic effort. Twinkle Andress Cavanaugh is President of the Alabama Public Service Commission.